This insert is designed to fit inside the core Mage Wars box (not Arena). This insert is designed to fit inside the core Mage Wars box (not Arena). The image above shows my single core with all expansions released to date. 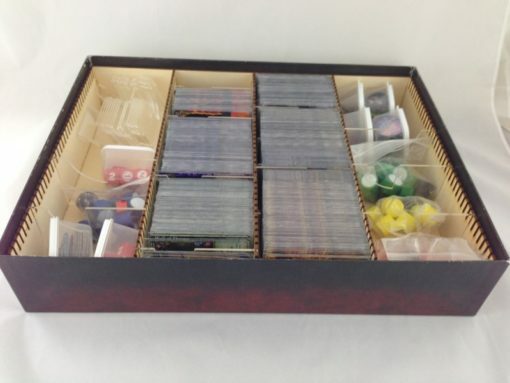 As you can see, there is plenty of room for you to store your cards however you want and still have room for future expansions. 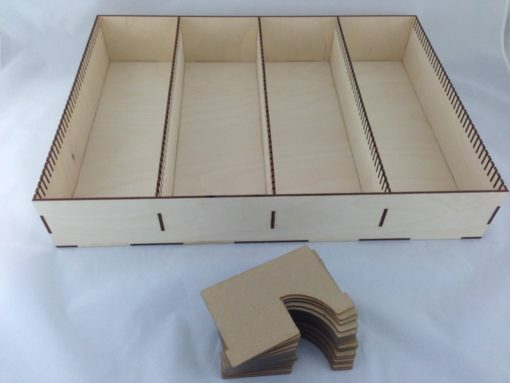 This insert measures 69mm high and provides four (4) organizational lanes for horizontal card storage. 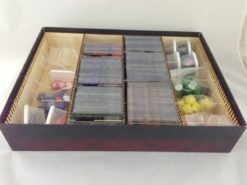 There is ~12.5mm of top clearance allowing for the storage of the game board, rule books, and player boards. This insert has lanes that are 99.25mm wide allowing for the use of most card sleeves. Recommended sleeves include Ultra Pro Deck Protector and Mayday Premium. 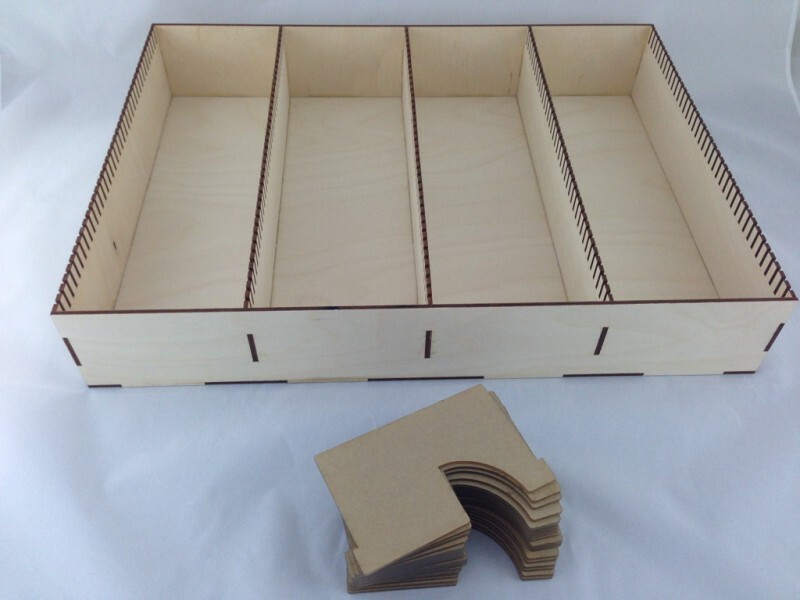 This insert has 1188mm of card lane storage. It can store ~3960 unsleeved cards or ~2376 Mayday Premium sleeved cards (.50mm per card) or ~2200 Ultra Pro Deck Protector sleeved cards (.54mm per card). Keep in mind each acrylic divider will also use 2.286mm of card lane space. The values used for the card thickness estimate = .3mm. Image is of prototype using 3mm Baltic Birch. Production insert uses HDF wood product. Includes fifteen (15) clear acrylic dividers (model MW-DIV-002). Additional divider packs of type MW-DIV-002 should be used. The DIV–002 design allows for the attachment of Post-it Durable Hanging File Folder Tabs (adhesive) for divider notes.This is a third-party, non-licensed product. Copyright 2019 © Go7 Gaming, Inc.. All Rights Reserved.